The quiet launch is a result of this tablet being geared towards the enterprise market a mainly, although still not exclusively. 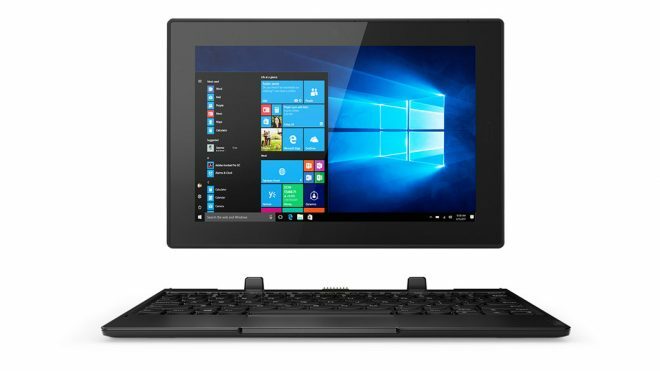 Lenovo Tablet 10 is still one of the few Windows tablets to be launched with the Intel Celeron N4100 processor. 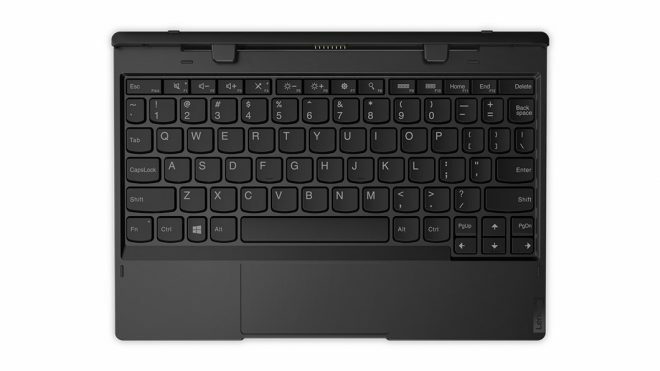 The processor isn’t too expensive, so tablets like the Alldocube KNote 5 is sold for under $300 with this processor, whereas Lenovo’s tablet starts at $449. 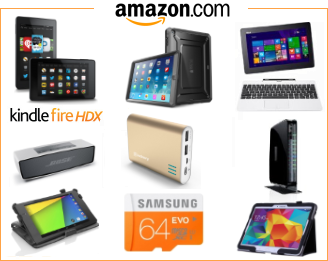 Hardware includes 4GB LPDDR3 RAM (2400 MHz though) and up to 128GB storage. 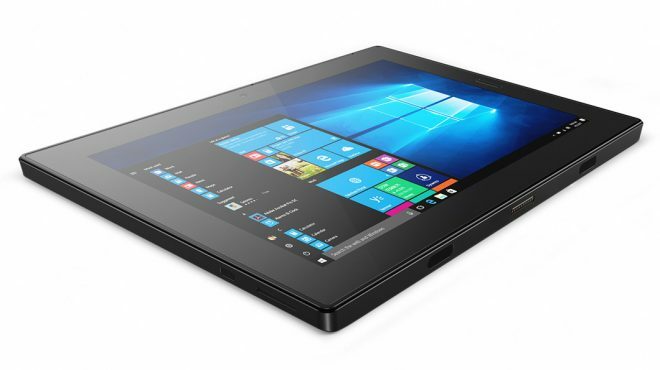 The 10.1-inch screen has a full HD resolution display at 1920 x 1200 with digitizer support for the enterprise world, and the ThinkPad Pen Pro is included. Apart from the 2MP front camera, 5MP rear camera, and 1 watt stereo speakers with Dolby, it has particular security features such as a Kingston Lock Slot, a fingerprint sensor, Bitlocker, and dTPM. LTE-A is optional. 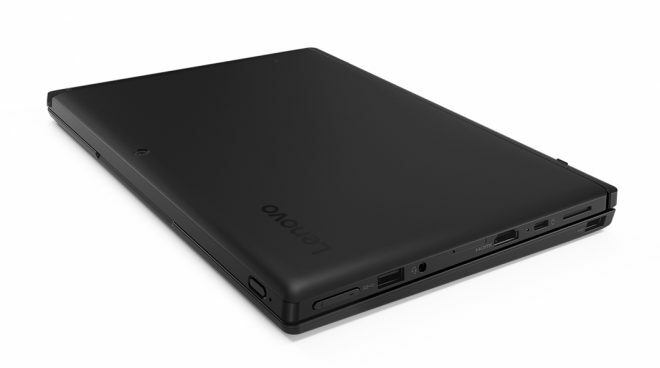 Other Lenovo Tablet 10 specs includes full 2×2 Wi-Fi cover, a 8.5 hour battery life from a 39Wh battery, and ports like HDMI, USB 3.1, USB 3.0 Type-C, a 3.5mm audio combo jack, and a microSD card slot. With thick bezels and a very plasticky design, a lot of people would snub this tablet in the consumer market. So this tablet seems destined solely for the enterprise market.